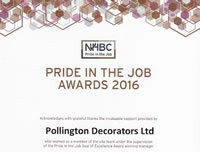 Pollington Decorators Ltd are a team of interior and exterior painting and decorating specialists. 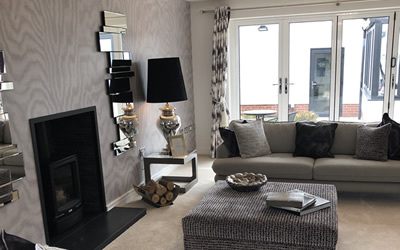 Our incredibly high standards, expert tradesmen and fantastic customer service ensure we stand out from other companies for all the right reasons. 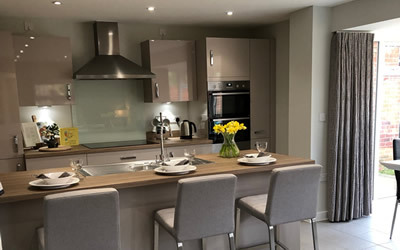 Our team of painters and decorators are fully qualified tradesmen and are highly experienced in all aspects of interior and exterior painting and decorating. We have all learnt the trade the old fashioned way and take great pride in our work. 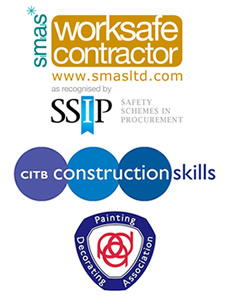 Here is a selection of the latest contracts we have acquired and completed work on. 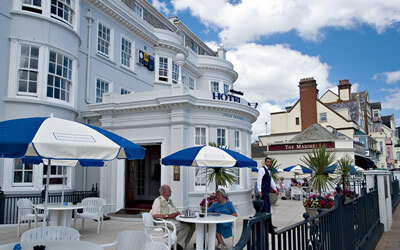 Work carried out on the exterior of the Riveria Hotel in Sidmouth, Devon. 450 Plots at Longforth Farm, Wellington. Work carried out at Harts Meadow for David Wison. Work carried out at Great Court Farm Totnes. Adam is now our dedicated recycling manager. We have a new storage unit dedicated to the recycling of paint. 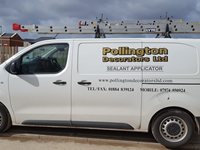 We have now appointed Neil and his apprentice Craig in our new side company of Pollington Decorators Ltd Mastic and Sealants. We won Employer of the Year award 2017 from Exeter College for apprentices. 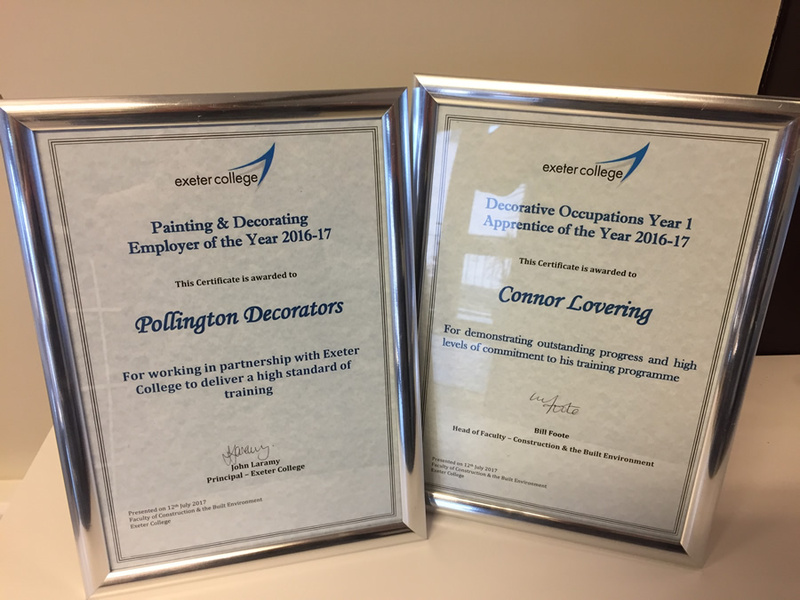 Connor Lovering won Apprentice of the Year 2017! Platinum Sponsers for Gareth Steenson's Testimonial! Pollington Decorators Ltd are Platinum Sponsers for Gareth Steenson's Testimonial this year which runs through to next May. 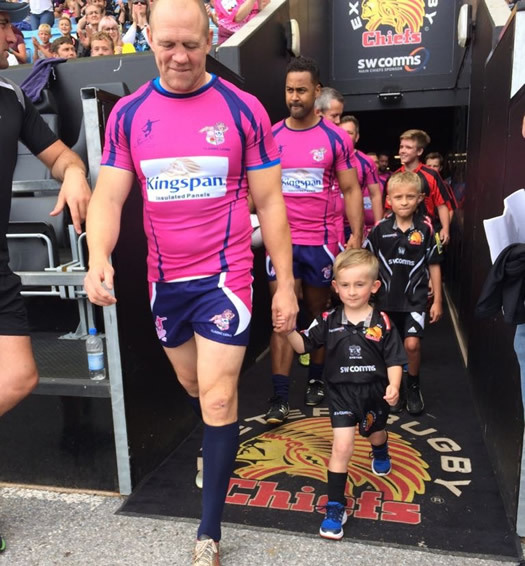 Pollington's Grandson got to have the honour of being a Mascot and got to Hold Mike Tindalls Hand! 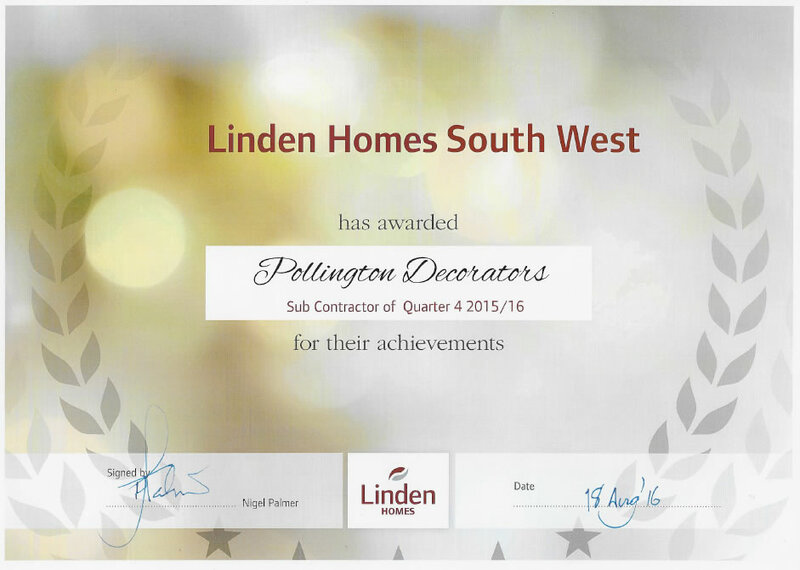 Linden Homes have awarded Pollington Decorators as Contractor of the quarter. 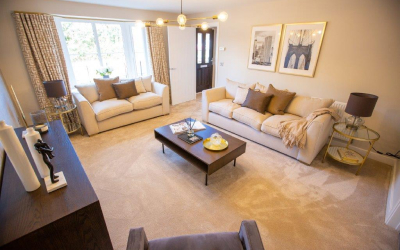 We have been awarded Pride in the Job Award at Penns Mount Kingsteignton for Linden Homes, we are thrilled to have received this. 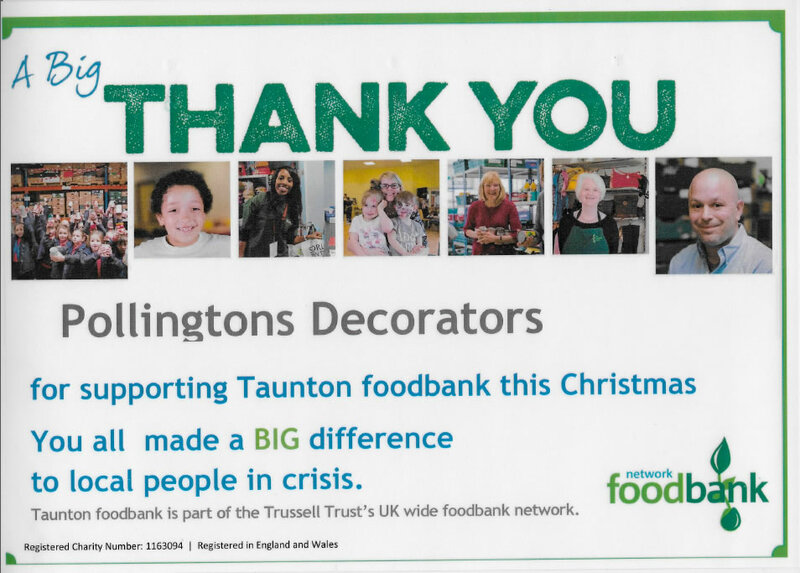 Certificate of donation to Food Bank. 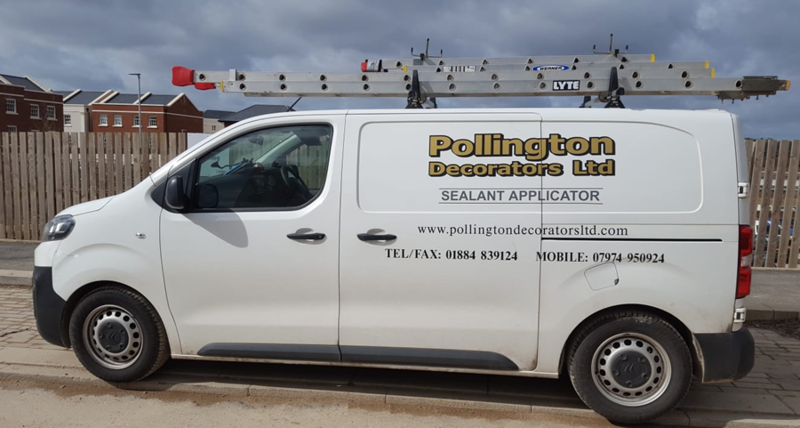 SP Decorators South West Ltd join forces with Pollington Decorators Ltd.
SP Decorators South West Ltd have now joined forces with Pollington Decorators Ltd. We are now 2 business working together to deliver the best service possible. SP Decorators will be looking after our Private work side of the business but will be using our painters as well as their own to complete jobs. 1 new apprentice from Exeter College has started their first year with us, we are excited to have Connor on board the team. Much of our work is repeat business with long term clients, which we feel is testament to our professionalism and ability. 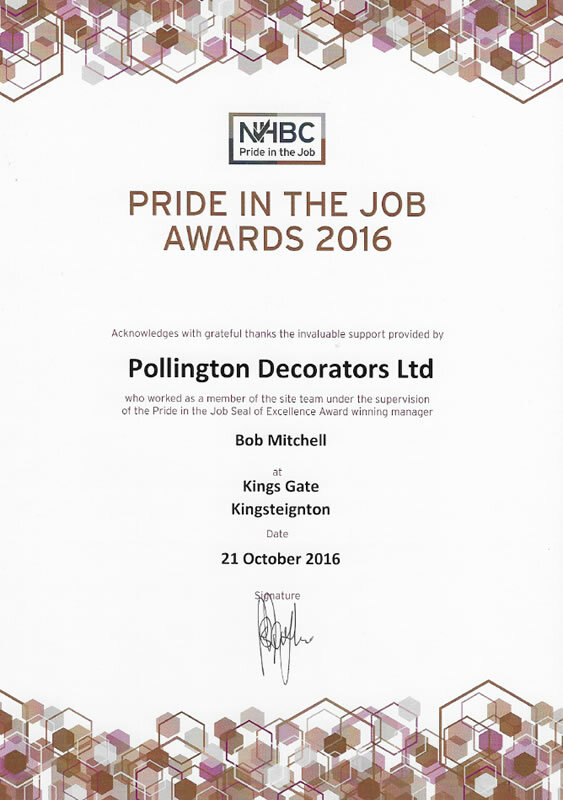 As Pollington Decorators Ltd is a member of The Painting & Decorating Association we are committed to providing you with the highest standard possible with our work, and as such we offer you a full customer satisfaction guarantee and we are always open to your comments.